Khloe Kardashian and Rosie Huntington-Whiteley have sent their congratulations to Liam Payne and girlfriend Cheryl after the couple welcomed their first child together. The 23-year-old and the former Girls Aloud star confirmed the happy news on Saturday about their baby boy, who arrived on Wednesday. "Liam and I became parents to an incredibly beautiful, healthy baby boy," a note posted on social media from the couple stated. Pop star and TV personality Cheryl, 33, gave birth at the Chelsea and Westminster Hospital in London. Stars including reality TV personality Khloe and model Rosie took to social media on Saturday to congratulate Liam and Cheryl on the birth of their first child. Khloe was among the first to 'like' Cheryl's sweet snap of Liam cradling their newborn son on Instagram, while Rosie, who is expecting her first child with fiance Jason Statham, wrote, "Congratulations." Cheryl's ex Girls Aloud bandmate Nadine Coyle wrote on Twitter, "Congratulations @cherylofficial I am so so happy for you & your precious little boy & family! Sending you loads of love!" 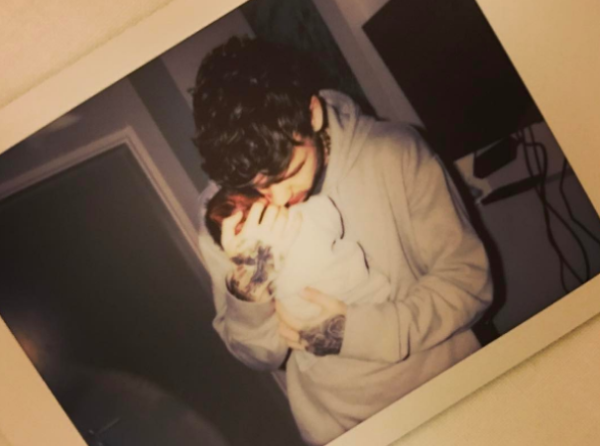 Liam's mother Karen Payne also took to Instagram shortly after Cheryl shared the couple's happy news, and was relieved she could finally reveal she was a grandmother. She changed her Instagram bio to: "A proud mum, the happiest gran" and later wrote, "Finally I can boast that I am a grandmother! The happiest grandmother. I'm very proud of my children. "Everything I've been doing lately is crying, because I'm very happy, now I have the most beautiful grandson in the world," she concluded, later posting a shot of her son cradling his baby with the caption, "Happy Mother's Day to all mothers over the world." Liam's sister Nicola posted her sentiments on Twitter and hinted she had met her nephew for the first time. "What a lovely day today has been!!" she wrote on Saturday. "I honestly didn't know love at first sight until today."